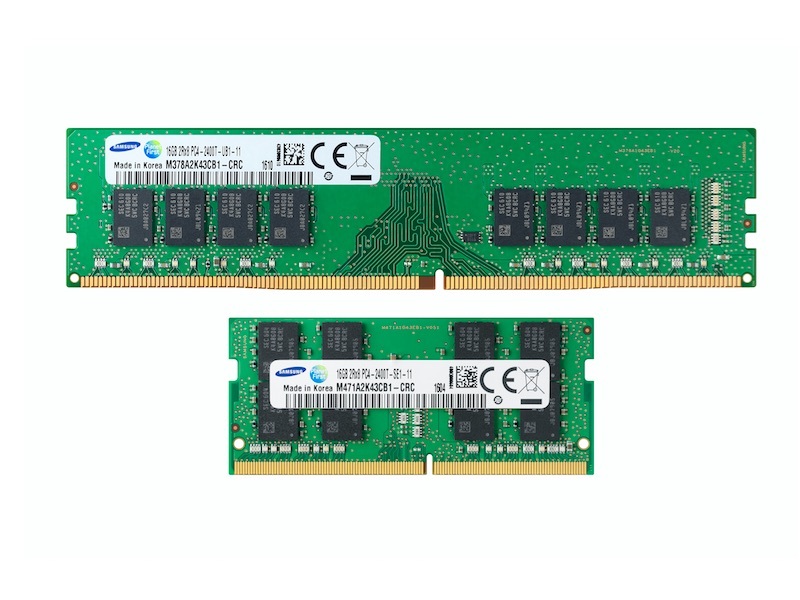 Samsung has announced that it has begun the mass production of its 10-nanometer class 8-Gigabit Double Data Rate 4 (DDR4) DRAM. The new chip, Samsung claims, offers a transfer rate of 3,200 megabits per second. The South Korean technology company continues to innovate in the semiconductor space. It says it had to overcome technical challenges in DRAM scaling in order to manufacture this chip. It apparently did so by mastering ArF (argon fluoride) immersion lithography, utilising EUV (extreme ultra violet) equipment. As for what the 8-Gigabit DDR4 DRAM brings to the equation, the company says that the chip offers significantly improved wafer productivity over the 20nm 8Gb DDR4 DRAM it launched earlier. The data transfer rate of 3200Mbps is also 30 percent faster than the 2400Mbps rate of 20nm DDR4 DRAM. It is more energy efficient, too, offering 10 to 20 percent less power consumption. The DRAM modules are different from those based on NAND flash memory, for those unaware. Instead of utilising only a transistor, the DRAM cell requires a transistor as well as a capacitor that are linked together. Moving forward, the company believes it will be able to introduced 10nm-class mobile DRAM solution with high density and speed later this year.